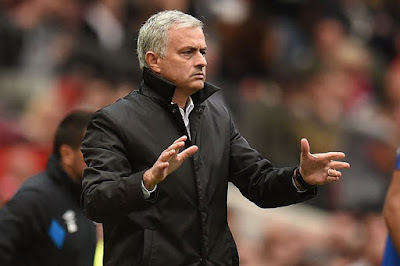 Manchester United manager, Jose Mourinho has stated that he only owes the club the obligation of seeing off his contract. Mourinho refuses to answer whether he will stay at Old Trafford for a long term. The former Chelsea boss took over from Louis van Gaal at the start of the 2016-17 season, and led United to Europa League and League Cup titles in his maiden campaign. United have built on that promising start, sitting second in the Premier League behind Manchester City and on track to make the Champions League last 16. He told Mirror UK, “I signed a three-year contract and when I signed that three-year contract it was basically to try and improve the direction of the football team. Mourinho added that catching Manchester City and taking the title will be no easy task. “Of course [Premier League] is an objective but to say the only way we are improving is to win the Premier League is not quite fair because the other teams, the other five or six teams, have the same objectives, the same responsibility, the same tools, they have the same qualities to do it, or even more because they have the stability over the past three years,” he said. Manchester United will host Newcastle in the Premier League on Saturday.